Charles Edwin Piper was born March 11, 1924, at the family farm near Lancaster, Kansas to Oscar and Lulu Surritte Piper. He left this earth on May 4, 2017 in Tempe, Arizona. Charles was known to his friends as “Chuck”. He was the youngest of ten children. All of his brothers and sisters have preceded him in death. 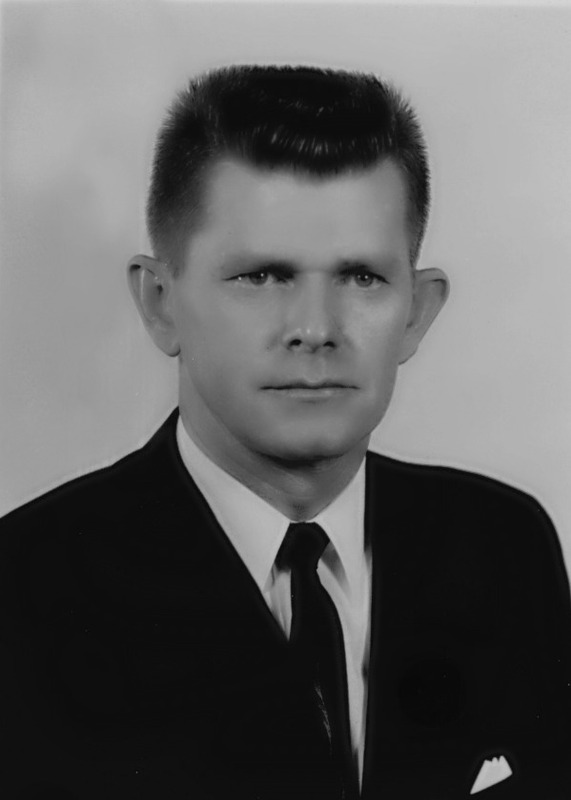 He attended twelve grades of school in Potter, Kansas, graduating in 1942. In 1943, he was drafted into the Army and served for two years, after training in Australia. He saw action in New Guinea and the Philippines in World War II. Upon his discharge from the Army, he enlisted in the United States Air Force, serving two years in Japan and one year in Vietnam. He spent the next twenty years in the Air Force. In 1955, he married Elaine Rembert. Elaine had one daughter, Janice, who was 14 years old when the Pipers married. The family lived in Bishopville, South Carolina. After retiring from the Air Force, Chuck spent 25 years with DEK company in Michigan, Indiana, Texas, Louisiana, and Arizona, where Chuck was the State Manager for the driver’s license of DEK until his retirement in 1988. Chuck was a member of the Christian Church, where he had a multitude of friends. On October 8, 2005, he married Carol June Beeman. Chuck is survived by his wife, June; stepdaughter, Janice; three grandchildren, Janay Minton of California, Heidi Campbell and husband Brian, of Flagstaff, and Ryan Cowling of Scottsdale; and seven great-grandchildren. Funeral services will be Wednesday, May 10, 2017, at 1 PM, with visitation from 1-1:30 PM, at Bunker’s Garden Chapel, 33 N. Centennial Way, Mesa, Arizona, 85201. Interment will be at the City of Mesa Cemetery. So sorry to hear of Chuck’s passing..
Sooo sorry to hear about Chuck’s passing. June you are in my prayers! !!! !